Taleo is an upscale Mexican restaurant in Irvine, and we go there for great drinks, very good salsa, guac, chips, BUT really we go for the FLAN. 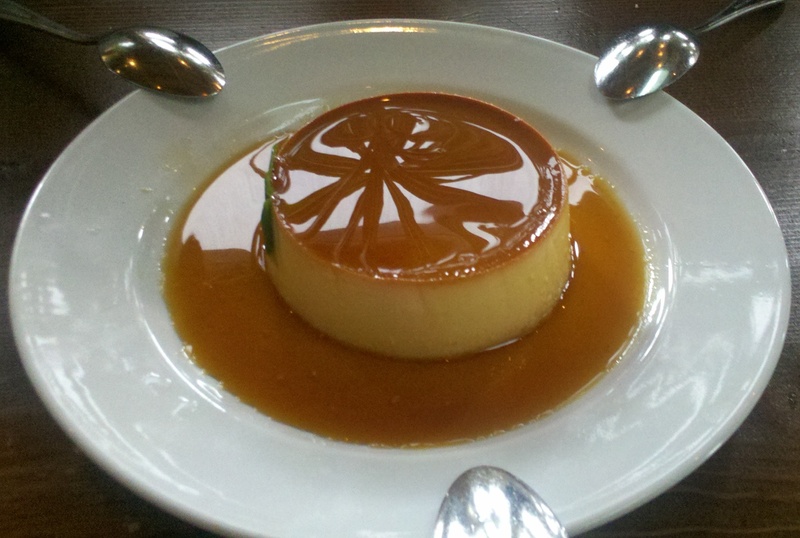 This is flan for people who don’t like flan. If you hate flan but like cheesecake, this might work for you. Today we had really good fish (Salmon and Tilapia), enchiladas with Mole, but the flan was perfect as always. They have a good happy hour too!